Maia Sepp is an author of humorous contemporary and dystopian fiction. She left the tech sector to write about sock thievery, migraines, the future, and...the tech sector. 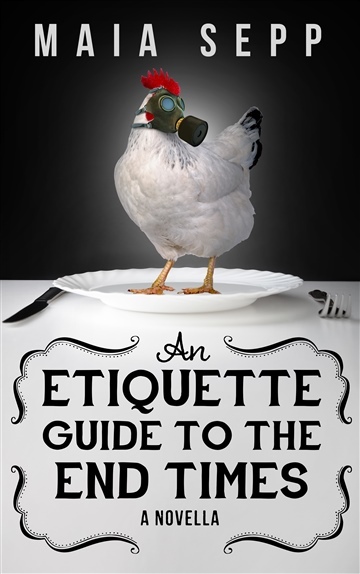 Her latest is a humorous near-future dystopian novella, titled, An Etiquette Guide to the End Times, now available. Her first two novels are contemporary fiction: The Sock Wars is her debut novel. The first chapter of The Sock Wars was published as a short story/novel excerpt titled Irish Drinking Socks, and became a Kobo bestselling short story. The Sock Wars is a top-100 digital bestseller on Amazon, Barnes and Noble, and the iBookstore, as well as a genre and Writing Life bestseller on Kobo. Maia's second novel is The Migraine Mafia, a story about a nerdy thirtysomething's quest to come to terms with a chronic illness. It is a Kobo genre bestseller and is available online everywhere.